It's time for another art tour of my school! 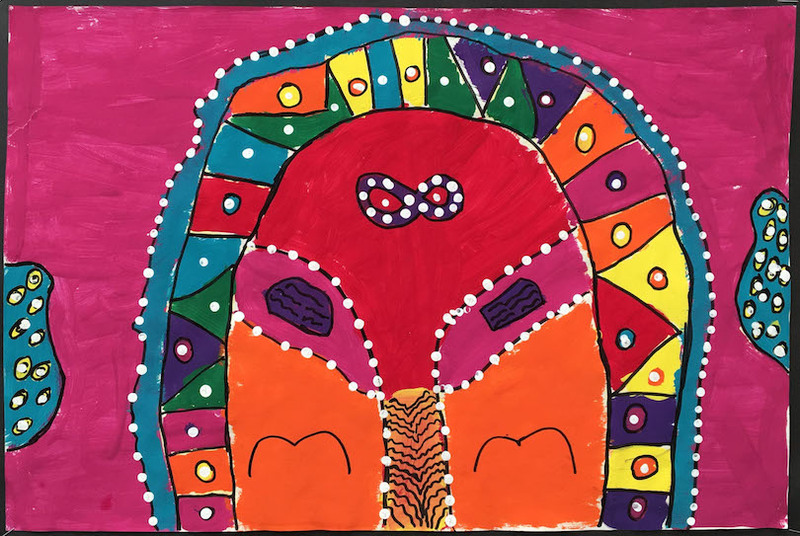 I love to walk around our halls and snap pics of all the beautiful artwork the kids create. 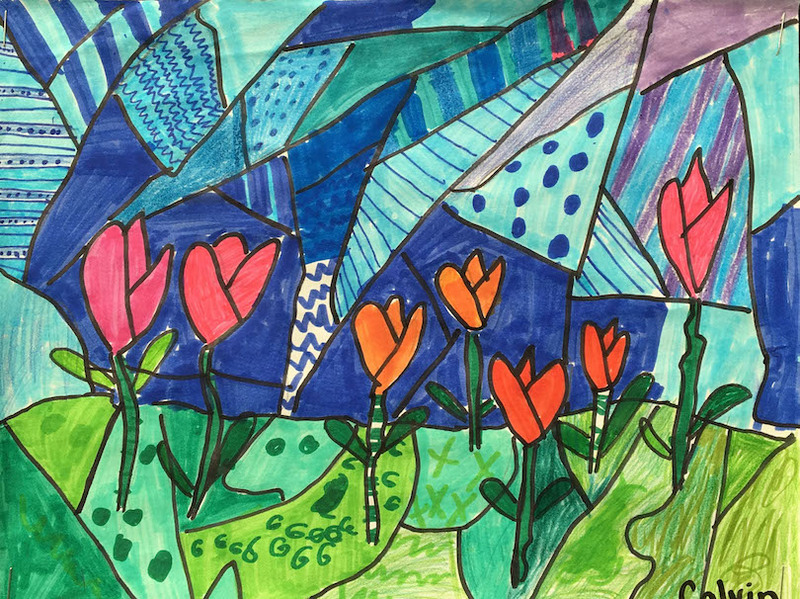 These stunning tulips were created by one of our Grade 3 or 4 classes. They were made with felt pens and a black sharpie. 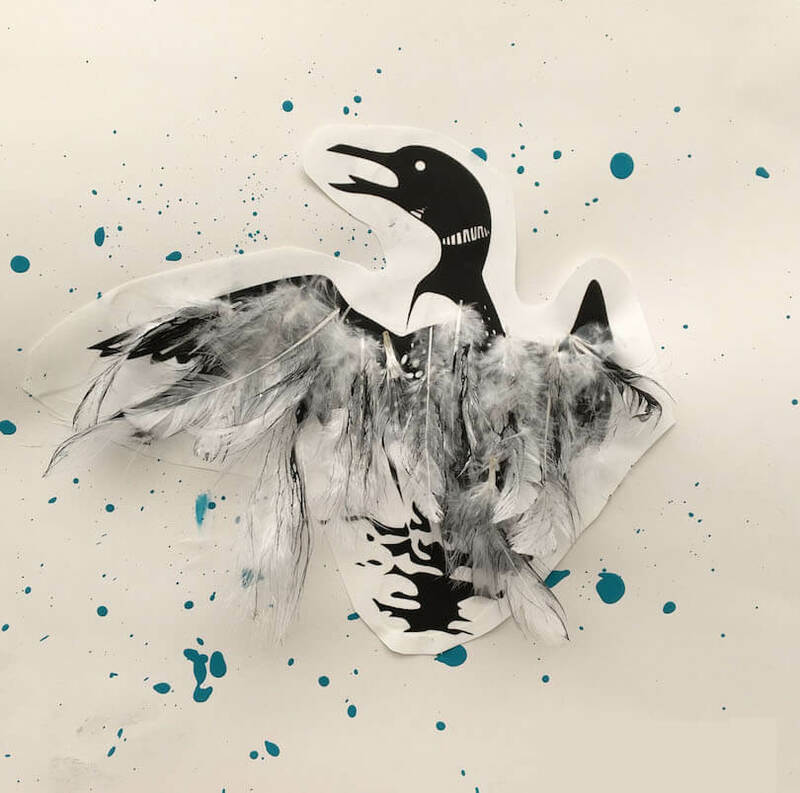 These beautiful Canada Geese were made by a Grade 3 class. 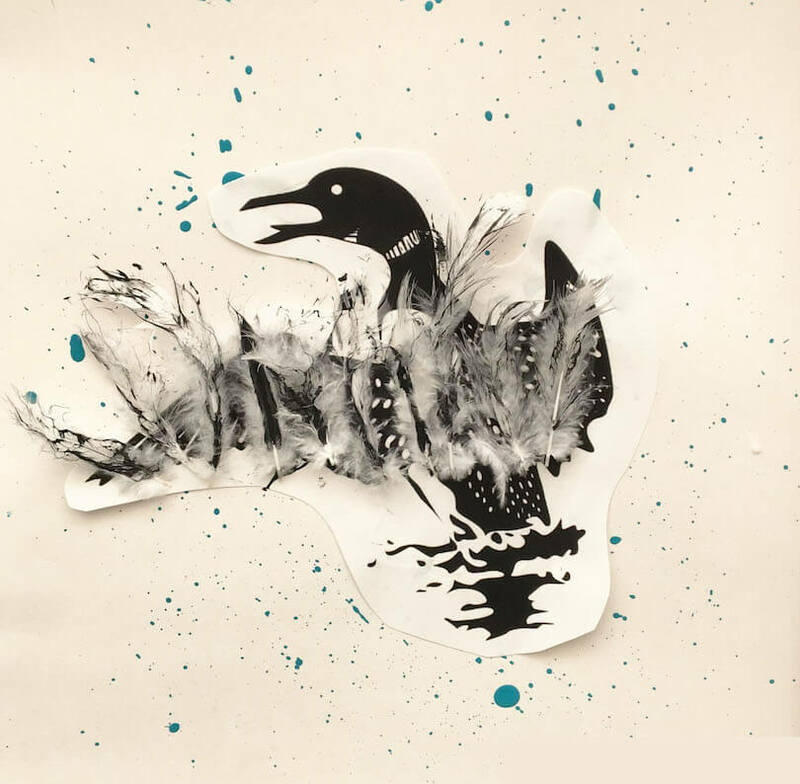 They spatter painted the background, added photocopied geese and then glued on feathers. 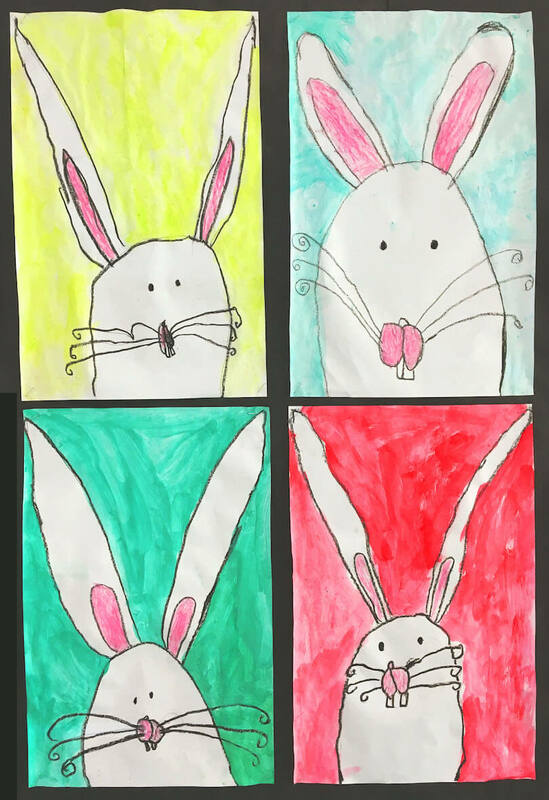 These cute bunnies were drawn and painted by my Grade 1 class. 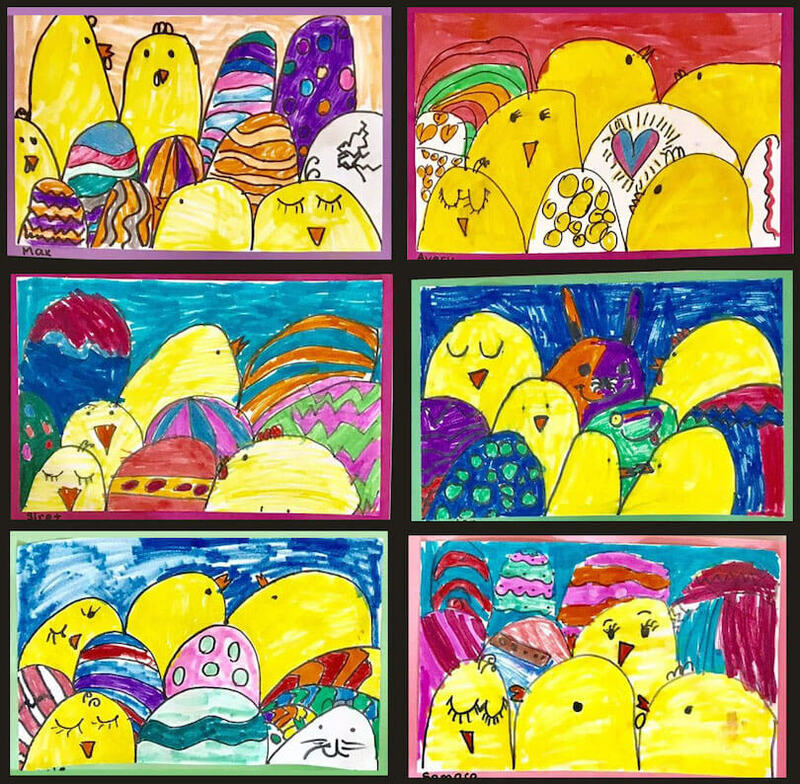 The chicks and eggs were also drawn by my class. This was a VERY fun art lesson. It was a directed drawing lesson and everyone was super successful. 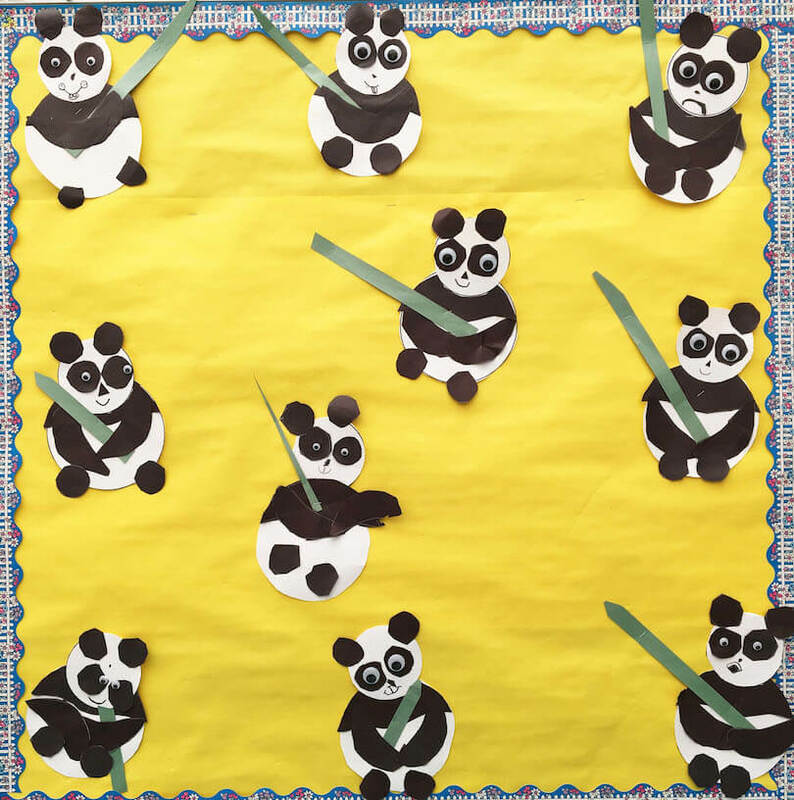 These lovely little pandas were made by the Grade 1 class next door to me. I love their funny faces, especially the top two with the teeth and little tongue! These portraits were drawn by an intermediate class. 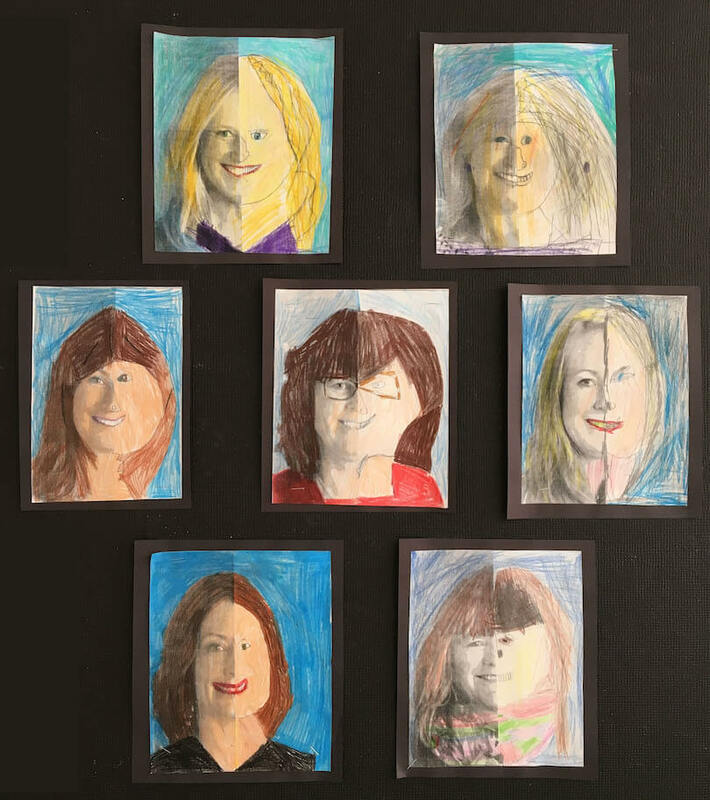 I'm not sure if you can tell from the pics, but the kids were given a photocopy of half a teacher's face. They coloured that half and then drew the other side. These faces look so amazingly cool hanging in our hallway. 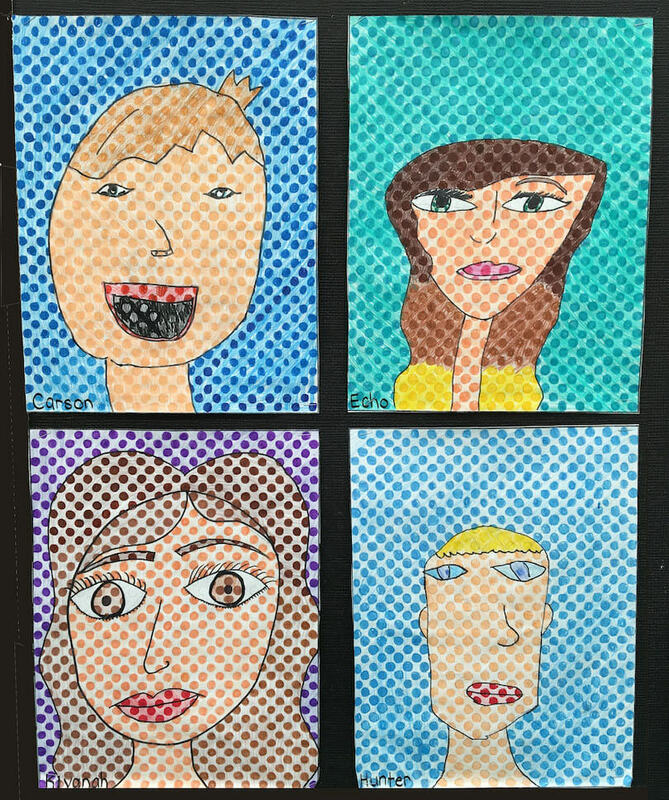 The kids drew self-portraits on paper with photocopied dots. I just LOVE how well they turned out! 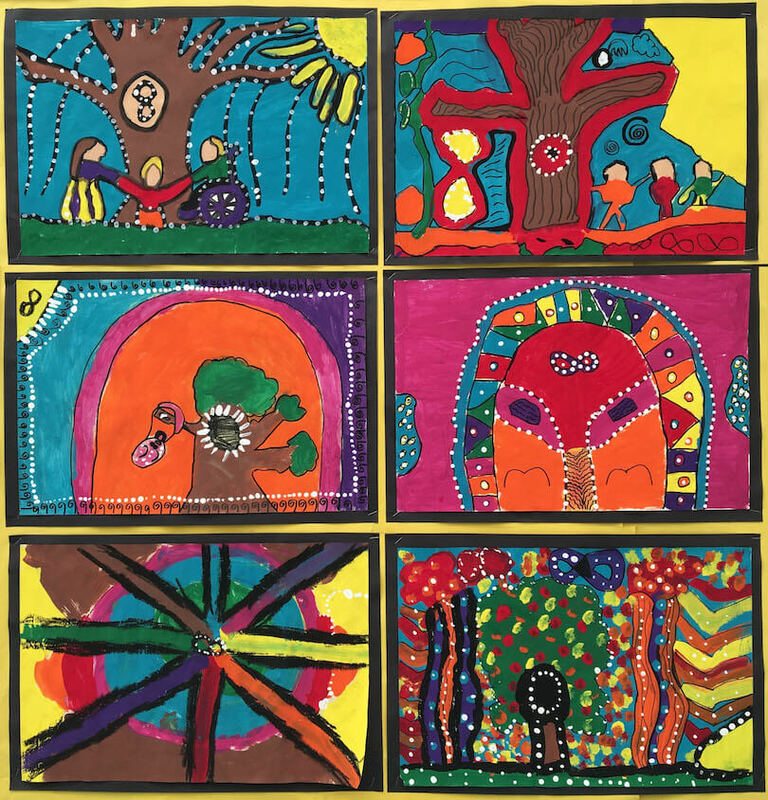 And these Metis artworks are absolutely gorgeous. 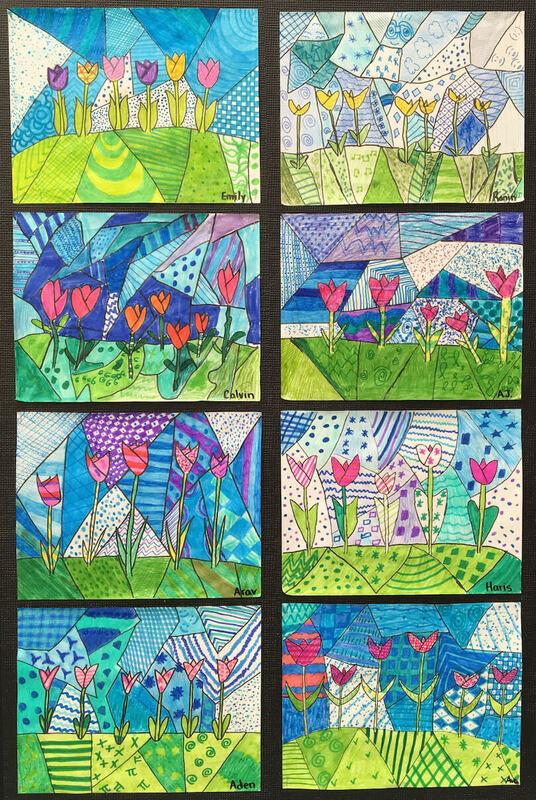 They were created with tempera paints and black sharpies. 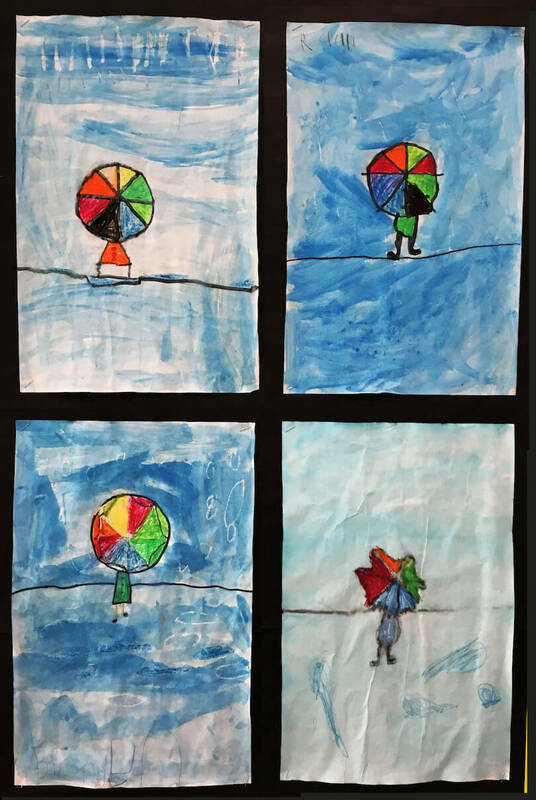 These lovely rainy paintings were done by my kids with their Friday teacher. I love the bright umbrellas against the soft blue. 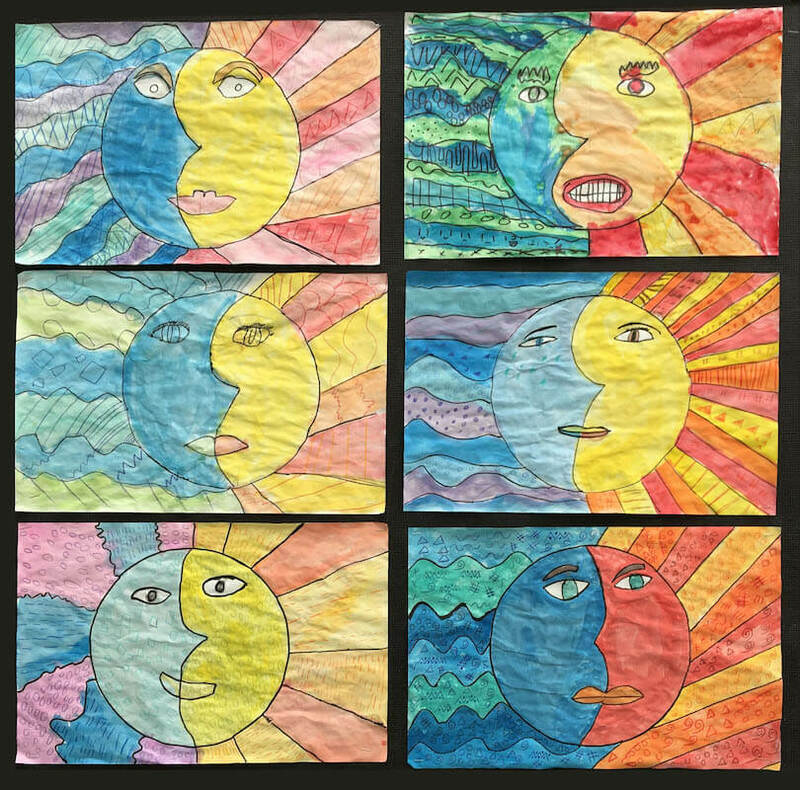 And finally, we have these gorgeous sun/moon paintings. Like them all, but especially the tulips! Thanks, Sara! The tulips are my favourite, too! 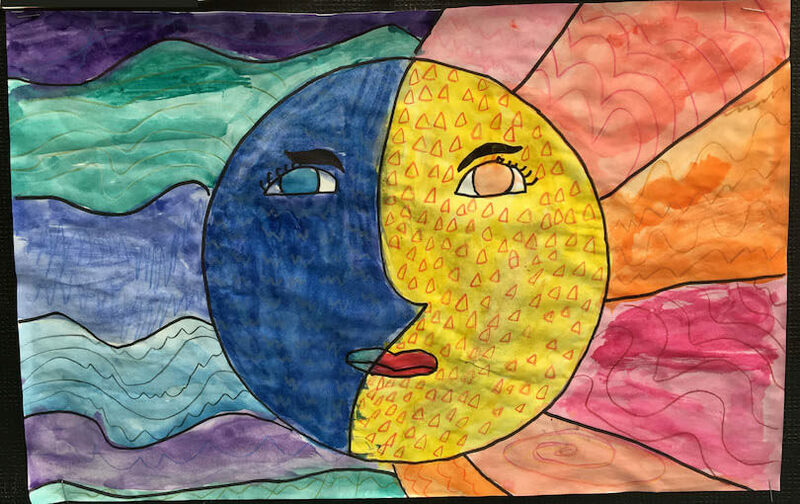 I love it when you share your school's art. The dot portraits are pretty amazing! Thanks, Tammy. I agree about the dot paintings. I haven't seen anything like them before.